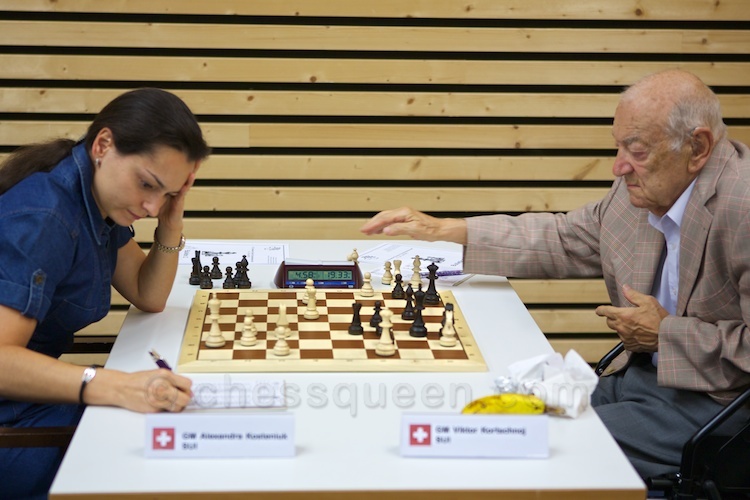 Playing a legend: Kosteniuk takes on Korchnoi, 53 years her senior. 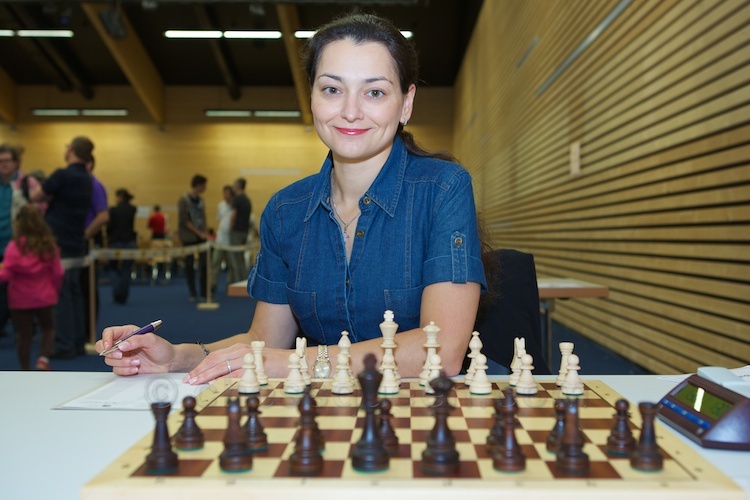 The beautiful Flims, Switzerland, is hosting the Swiss Open National Championship with a strong lineup including GMs Yannick Pelletier, Viktor Korchnoi (Kortschnoi/Kortchnoi), Joe Gallagher, Chess Queen Alexandra Kosteniuk, and a few more Titled players. In an interesting encounter, in the third round, Kosteniuk beat Korchnoi and here is the game with Chess King. The standings after three rounds have GM Alexandra Kosteniuk (Rus / Sz) and IM Oliver Kurmann (Lucerne) leading with 2.5 points each. 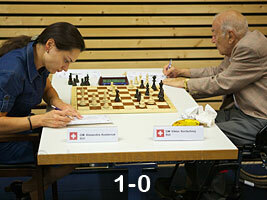 Track the Swiss chess event at official website. You can download or look at a PDF with full detailed analysis by Houdini 2 automatically generated by Chess King by clicking here. Take advantage of the $50 coupon INTROKING50 to get Chess King for only $49! Chess Queen™ Alexandra Kosteniuk just before starting the game with Korchnoi. Truly a great game! I understand that my loss to you a couple of years ago in Kristiansund was inevitable.